Did you know that you’re an ape? That’s right. Humans belong to the ape family. But, apes, as we think of them, are large, intelligent animals that live in Africa and Asia. The ape family includes gorillas, chimpanzees, orangutans, bonobos and gibbons. All about Apes: An adult male is up to 6 times stronger than a human adult male. Apes are omnivores, just like many of us. They eat mostly fruits and plants, but they occasionally snack on insects. Their arms are longer than their legs and they don’t have tails. Apes are good parents. They only have babies once every 5 to 7 years. The babies stay with them for a long time. Apes make nests out of leaves to sleep in. They also have their babies here. Some apes, such as orangutans, make a new nest every night. 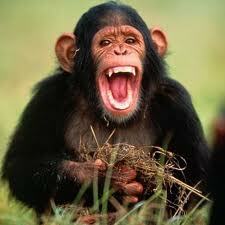 Chimpanzees are Apes and have the same blood type as humans. Well, isn’t that fascinating all about apes? Apes live longer than most mammals. Some live 50 years or more. 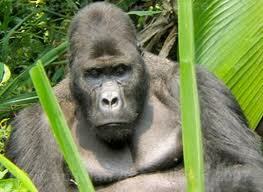 Gorillas (The Apes) live in big families called harems. Adult male orangutans inflate a pouch in their throat to make a deep noise. This noise can be heard almost one mile. 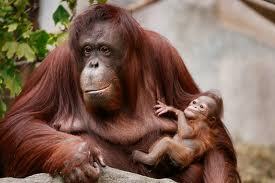 Baby orangutans stay with their mother until they are 6 or 7 years old. 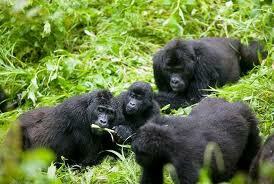 Gorillas live in big families called harems. Chimpanzees have the same blood type as humans. Bonobos use sticks as weapons. A video documentary about the similarities of apes and humans. Question: Name the members of the ape family? Answer: Gorillas, chimpanzees, orangutans, bonobos, gibbons, and humans. Question: Name one way chimpanzees resemble humans? Answer: They use facial expressions to communicate. Question: How strong are chimpanzees? Answer: An adult male is up to 6 times stronger than a human adult male. Enjoyed the Easy Science for Kids Website all about Apes info? Take the FREE & fun all about Apes quiz and download FREE Apes worksheet for kids. For lengthy info click here. Declan, Tobin. " Ape Fun Facts for Kids ." Easy Science for Kids, Apr 2019. Web. 24 Apr 2019. < https://easyscienceforkids.com/all-about-apes/ >.